Video content owners have a variety of options that they can utilize when it comes to video player branding. 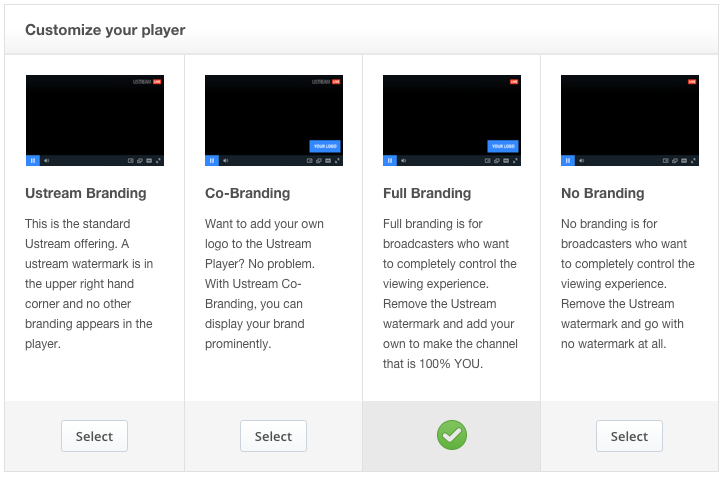 In total, there are four options available that include Ustream Branding, Co-Branding, Full Branding and No Branding. These options, controlled in the dashboard, can be switched between at any time. 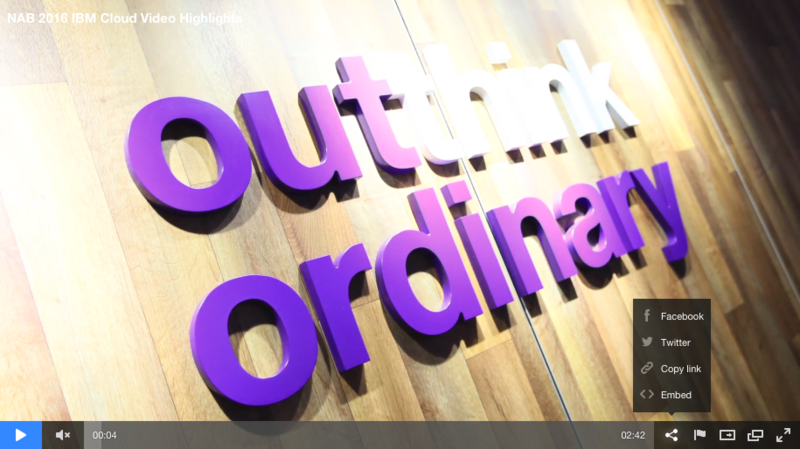 This has the IBM Cloud Video logo appear in the upper right. If this is a live channel that is currently streaming, it appears next to the red Live notification. 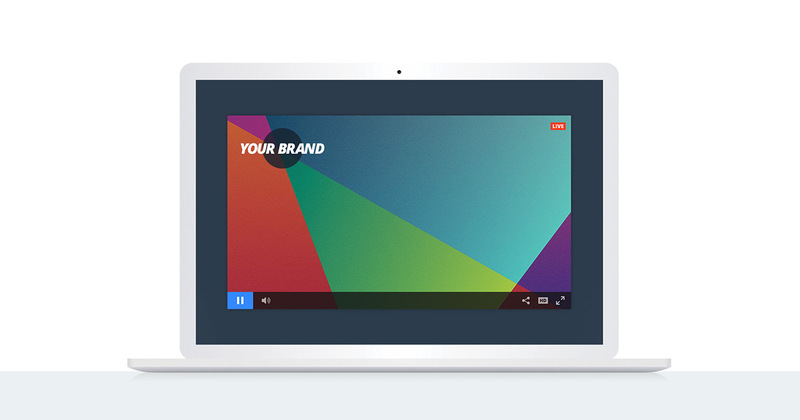 Love IBM Cloud Video, but want to still promote your brand? This option allows the IBM Cloud Video logo to still appear in the upper right. However, it also adds the option to display your own watermark in the lower right. The image can be up to 288 x 96 pixels large, and can be png, gif or jpeg format. For optimal representation, unless the desired graphic is a square, it’s ideal to use a png or gif with transparency behind the logo. This option removes the IBM Cloud Video logo in the upper right. It adds the custom watermark option, though, that appears in the lower right. Same as the co-branding feature, this logo can have transparent elements and can be up to 288 x 96 pixels large. The last choice removes both the IBM Cloud Video logo in the upper right and the custom watermark option, so no branding appears inside the video player. 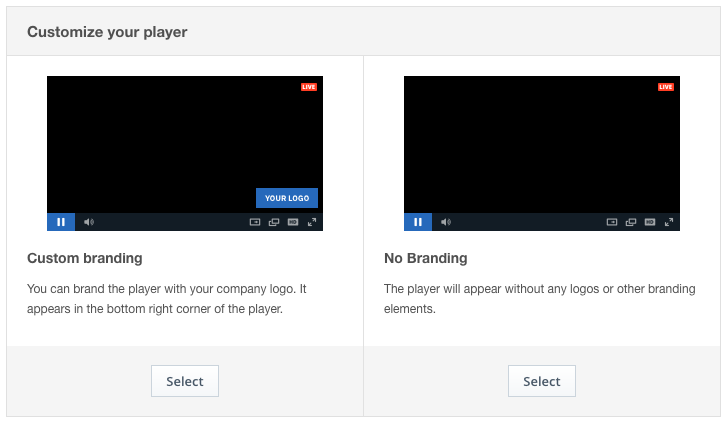 In this instance, no options exist to feature IBM Cloud Video branding and the only options are no logos or to customize them. The ability to allow viewers to share content over social networks gives an easy way to create brand advocates out of your users. When enabled, this feature appears in the lower right of the player. It’s represented by a social network icon and when clicked brings up four options to choose from. These options include the ability to share on Facebook or Twitter. 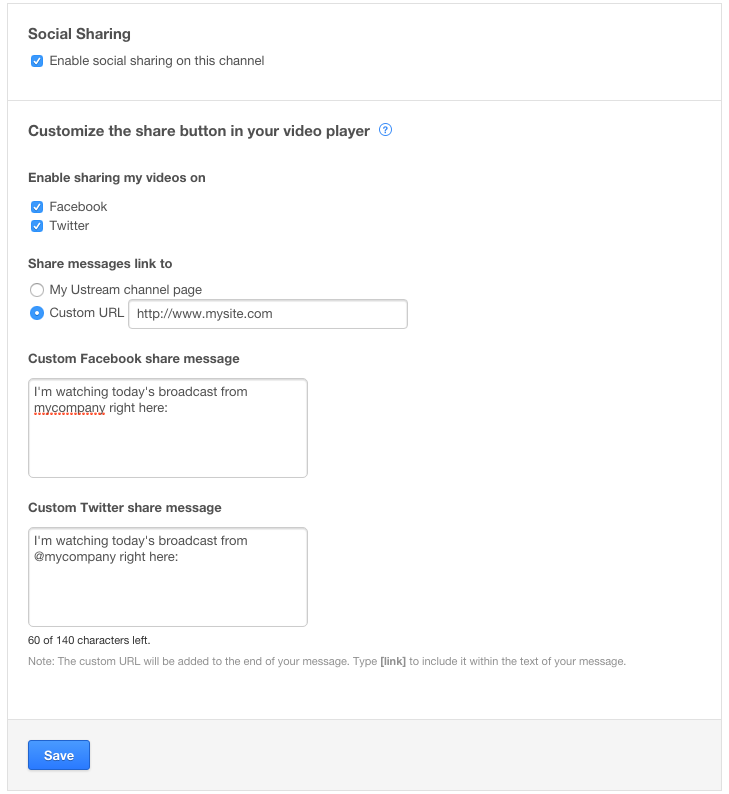 There are also options to share the link to reach the video or get the embed code to place it on another site. Given the type of features available, it can be important to customize them as part of a white label video solution. This includes the ability to disable or enable the feature, which is controlled through selecting the channel in the dashboard. Also included is the ability to enable or disable sharing for Facebook and Twitter. Furthermore, the social message created from sharing can be customized as well. This gives a great opportunity with Twitter to add either accounts, through using the normal @ symbol, or using a desired hashtag that can tie into the video asset. One of the great aspects of this feature is the ability to customize the URL that it sends people to. This allows you to insert your website URL which will be used for directing people who share it over Facebook and Twitter and also used for the “Copy Link” feature. If it’s desired to remove the embed code, though, it’s suggested to disable the social sharing option as this will remove the button altogether. There is a natural inclination by many broadcasters to “own” their own content. This includes not just legally owning their video assets, but also being able to control where and how that content can be viewed. IBM Cloud Video has a ton of features focused around restricting access to a broadcaster’s video content, and for those interested in learning more we have an article right here that covers this in more depth. That said, it’s common for broadcasters to look for a white label video solution that can limit the scope of where their content can be accessed. To accommodate this, there are methods for both disabling the IBM Cloud Video channel page and also features to limit where the content can be embed. To control embeds, the feature is controlled from the dashboard and lets broadcasters enter in approved URLs. Any site found trying to embed the stream that doesn’t match the approved URLs will be blocked from being able to playback the content through the player. Furthermore, a button will appear inside the video player that will both explain this and also provide a way to redirect to another page of the broadcaster’s choosing, such as their own site. The actual restriction element involves entering in one or several approved URLs. Wildcards are permitted through the use of an asterisk, which will allow entire domains to host it along with also being able to confine access to a single, precise URL if desired. To learn more about these features, check out our customize channel page article. While there are a wealth of features related to customizing a channel page, there is also the ability to disable it outright. To select this option, the broadcaster simply needs to navigate to the Channel Page selection after choosing the appropriate channel. The top most option on this page will give a readout on the status of the channel page. 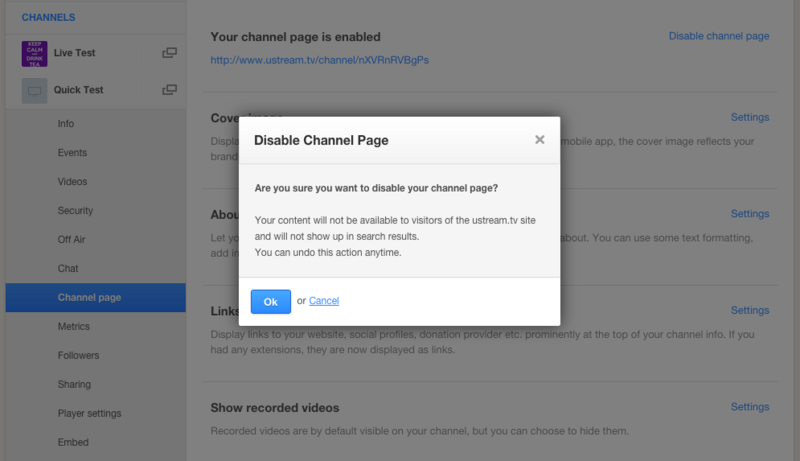 If the channel page is currently enabled, it will list a URL below the “enabled” notification. To the right of this is a “Disable channel page” option. Clicking this will trigger a prompt to confirm the action. Once disabled, the old URL will give a 404 when viewers attempt to navigate there and it will no longer appear in search results on IBM Cloud Video and Ustream. This action can be reverted at any time through navigating back to the Channel Page area and clicking to “enable channel page”. 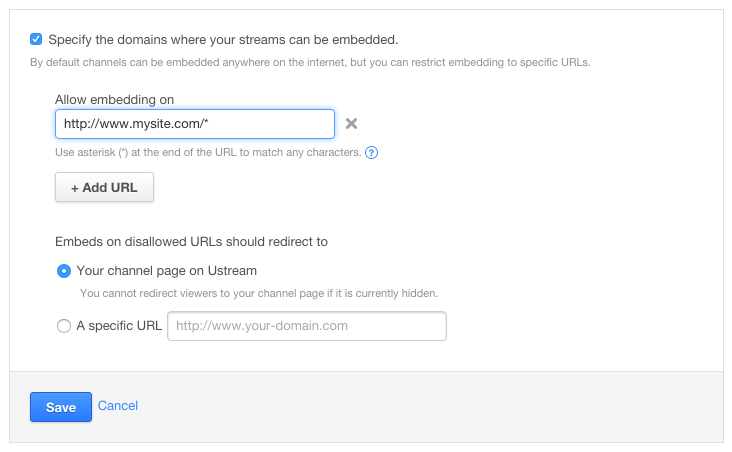 Streaming Manager for Enterprise (formerly Ustream Align) plans offer a lot of additional restriction features to keep content internal facing. This includes being able to restrict through email verification or SSO (single sign-on). One feature that is exclusive to Streaming Manager for Enterprise and is not restriction related, though, is the ability to create a portal. Controlling the look of the portal is done through the dashboard and allows you to select a name for the portal that appears in the upper left and upload an icon to represent your channel as well. A company icon, called a “Portal Picture”, can also be uploaded and will appear to the left of your channel name. Below is an example of this. The image is an optional element of the design, which is otherwise very minimal and clean. 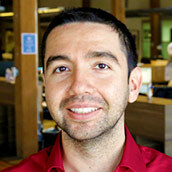 The picture can also be changed or removed at any time as well. 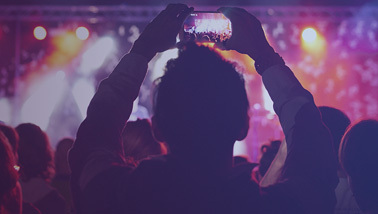 IBM Cloud Video offers a complete white label video streaming solution for video delivery. This includes a robust feature set that can help you customize the look and feel of your streaming. Want to take these features for a spin for a large event that can be branded around your own organization? Try out Streaming Manager and take full advantage of IBM Cloud Video’s white label capabilities. Already have an IBM Cloud Video account? Check out this Support Center article to learn how to start enabling these features.